The News Agency of Nigeria, NAN, carried a report that suggested that Obasanjo had months on, opted to remain neutral as regards the presidential race. In a press release issued over the weekend, Obasanjo affectionately referred to as OBJ said his comments at a family event had been misconstrued. He stressed that he was not neutral but did not mention explicitly whether he was backing any candidate aside Buhari who he said had failed. “Chief Obasanjo’s statement did not suggest his neutrality. In fact, the former President believes that only a fool will sit on the fence or be neutral when his or her country is being destroyed with incompetence, corruption, lack of focus, insecurity, nepotism, brazen impunity and denial of the obvious. “Chief Obasanjo is no such fool nor is he so unwise,” a statement signed by media aide Kehinde Akinyemi read. The February 2019 elections pits Buhari leading the ruling All Progressives Congress, APC, alongside Atiku with the main opposition Peoples Democratic Party, PDP. Campaigning has been intensifying over the past weeks as candidates crisscross the country to canvass for votes. Buhari, in power since 2015 is contesting for a second and final term in charge of Africa’s most populous country. 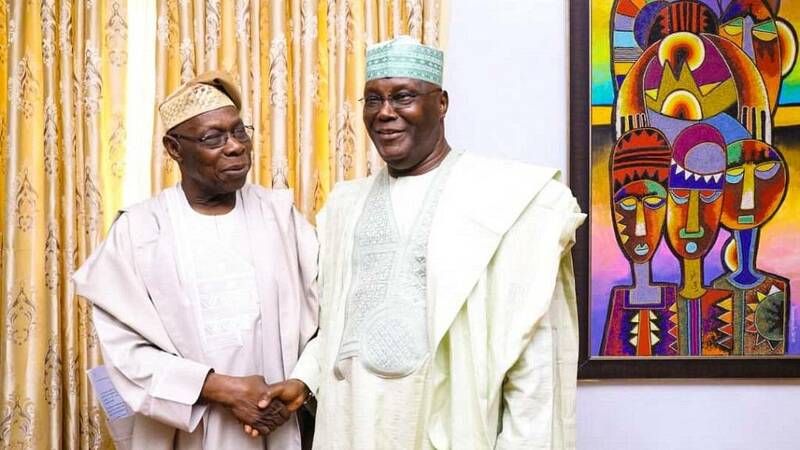 Atiku, OBJ’s veep for eight years is running for a seat he has long eyed. At the heart of the vote is the issue of security, the economy and corruption. The same set of issues that underlined the vote that saw Buhari defeat the then incumbent Goodluck Jonathan. The APC victory ended 16 years of PDP government. Eight for OBJ, Four shared by Jonathan and the late Yar Adua and four of Jonathan’s substantive first term.